Correct tyre pressures, measured in PSI and specified for your vehicle, are agreed upon by the vehicle manufacturer and tyre producer. The recommended pressures for your vehicle/tyre combination can be found in your vehicle handbook, inside the fuel filler flap or on the driver’s door post. 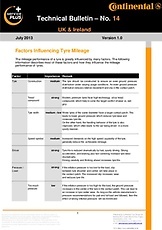 Tyre pressure influences many important characteristics of the vehicle performance, such as driving comfort, directional stability, cornering and braking grip, plus general handling behaviour. Incorrect pressure for your car will have a negative influence on one or more of these important characteristics. How should inflation pressure be checked? Your tyres must be inflated to the pressure specified by the vehicle manufacturer. 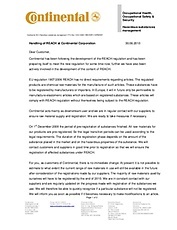 This normally varies depending on the load and service conditions. 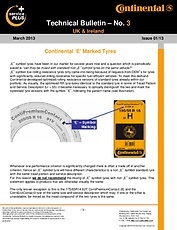 The specified pressure always refers to the cold tyre and must not be allowed to fall below this value. 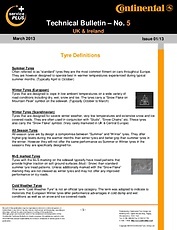 The pressure inside warm tyres is higher due to the fact that driving causes heat build-up. Never reduce the pressure when your tyres are warm, or it could fall below the minimum when they have cooled down. The tyre pressure (including the spare if you have one) should be checked and adjusted every 14 days. It is especially important to check and adjust your tyre pressure before going on a long journey or on holiday, as additional load during such a time may require the pressure to be increased according to the specifications. 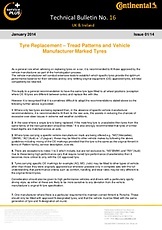 Keep to the specified pressures recommended by the vehicle and tyre manufacturer. 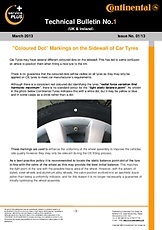 SAFETY WARNING – Underinflation can lead to the inside of the tyre being damaged. This can result in tyre failure or even a blowout. Hidden damage is not rectified by adjusting the pressure. 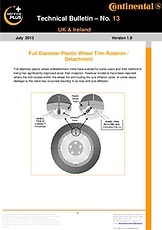 Direct systems – pressure sensors integrated with the valve or attached to the rim or the inside of the tyre. 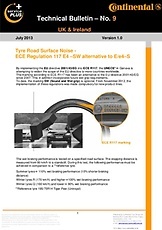 Indirect systems – no pressure sensor fitted to the rim. Pressure differences are measured “indirectly” via, for example, rolling circumference changes. 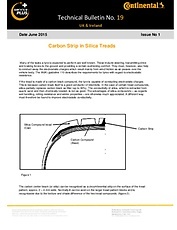 Car manufacturers may opt for either direct or indirect systems. Fitment and maintenance of TPMSs should be left to tyre specialists. 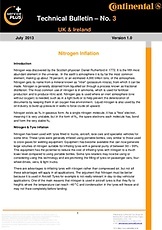 Nitrogen is sometimes offered as an alternative to air for tyre inflation. Nitrogen is an inert (non-flammable) gas – basically, nothing more than dry air with the oxygen removed. Air contains about 78% nitrogen. Because of nitrogen’s inert properties, it is often used in highly specialised tyre service applications and/or demanding environments, such as aircraft and mining applications. Nitrogen is also often used in motor racing. 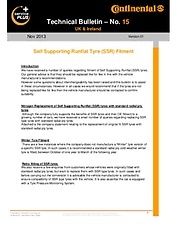 For normal tyre service applications, nitrogen inflation is not required. However, nitrogen inflation does not harm tyres and may marginally contribute to reductions in inflation loss by permeation. Nevertheless, nitrogen will not prevent any inflation loss caused by punctures, tyre/rim interface (bead) leaks, valve leaks, valve/rim interface leaks, wheel leaks, etc. Whether inflated with air or nitrogen, regular inflation pressure maintenance remains critical and necessary. 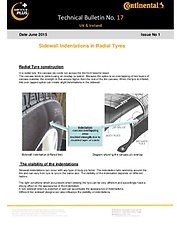 Use of nitrogen alone is not a replacement for regular tyre inflation pressure maintenance. 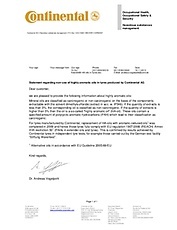 For any questions or concerns, Continental recommends seeking the advice of a service professional.